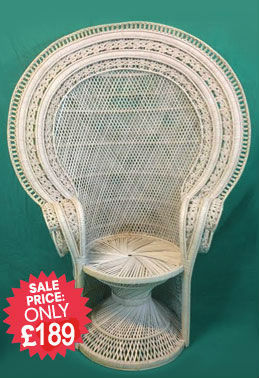 HUGE CANE FURNITURE SALE NOW ON !!! WE SUPPLY THE PUBLIC AND OFFER WHOLESALE TERMS TO SHOPS, STORES AND BULK BUYERS. Special Offer - 20% Off R.R.P. CLICK HERE TO VIEW ALL OUR SENSATIONAL OFFERS!!! CHOICE OF CUSHION - ANTIQUE WASH OR NATURAL FRAME. They come with an extended warranty and can be supplied fully assembled or flat-packed making them suitable for smaller cottages, caravans and longboats as well as lounges, conservatories and orangeries. View our exclusive ranges by clicking the "SALE" button below. 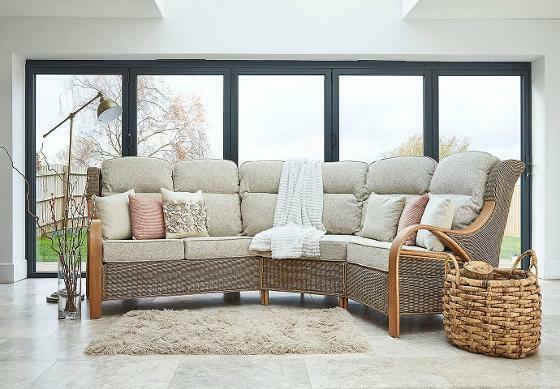 If your cushions are looking tired or you want a different look for your existing frames we offer a comprehensive cushion replacement service with a wide range of attractive fabrics to choose from including, new for 2019, Ross Fabrics. Click the fabric buttons below to choose your new look!! Check out our range of beautiful Peacock Chairs available in Natural, White and Black. Click the "Peacock Chairs" button below to see our incredible full range!! We pride ourselves on our customer service and can deliver throughout the Uk, Europe and Scandinavia. You can read some of our many customer testimonials by clicking the button at the bottom of the page. 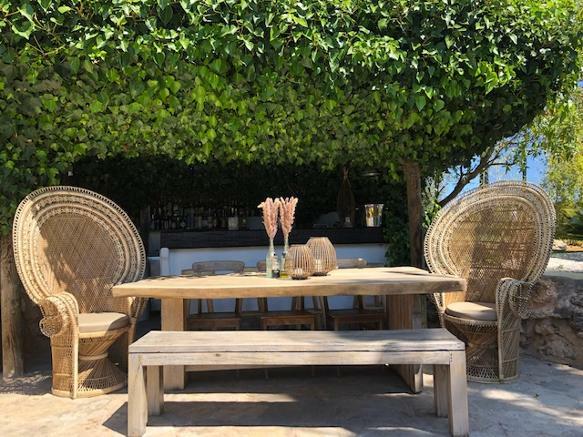 Daro is a leading name for wicker furniture for the home and garden. 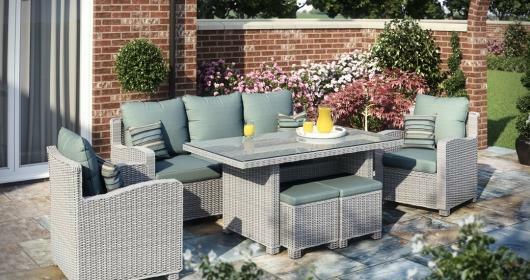 They offer a comprehensive range of cane and rattan models for the home, conservatories and orangeries. Go to our Daro page to view their indoor and outdoor ranges. Shown the stunning Waterford Modular range. 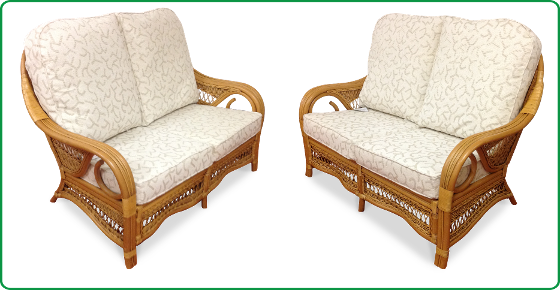 Cane Industries provide high quality cane, rattan and wicker furniture in classic and contemporary designs. Shown Mina Mist Grey range, 3 pce. suite with matching accessories. Huge half price Sofa Sale - Now On!! They all look beautiful in our argo turismo! Come and see us at our extensive showroom in Bolton!! 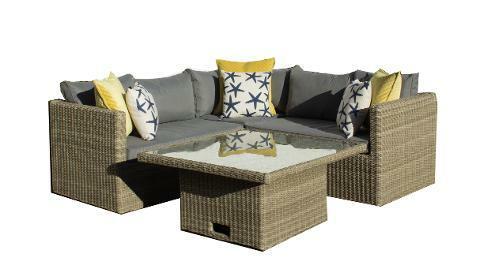 World Of Wicker is a leading Cane, Wicker and Rattan furniture retailer. Our 7000 square foot showroom is fully stocked 12 months a year and boasts a huge range of products from leading UK suppliers such as Daro and Cane Industries along with our own Exclusive Designs and Beautiful Peacock Chairs. 3 year warranty on all our frames. All our furniture can be bought separately, not just as suites. Post: World Of Wicker, Unit G2 Falcon Mill, Handel Street, Bolton, Greater Manchester, BL1 8BL.